Here are a few Garbage Collection Interview Questions for you! 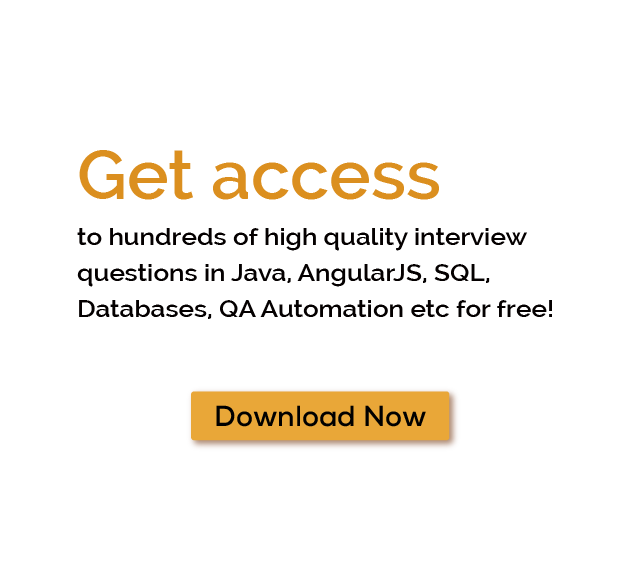 Download more High Quality Garbage Collection Interview Questions! Garbage collection in Java refers to the process of collecting unreferenced data and deleting them. It is an automatic process. The garbage collector is designed in such a way that it will automatically identify the useless data and mark them. Data, which is not reachable by applications, are considered as unreferenced data and garbage collector identify all these types of data for deleting. The garbage collector can only work in the JVM. For the implementation of the garbage collector, all the specifications of the JVM should be fulfilled. The garbage collector is of many types, but all follow the same basic procedure of collecting and deleting the data. Garbage collection in Java follows a simple strategy to collect and delete useless data. Hotspot’s garbage collector categorizes the data into three categories on the basis of age. The theory behind this classification is that many data are short lived. They become useless, just after creation. Three categories are Young generating, Old generation and Permanent generation. Young generation includes newly created objects and those who live long, fall into the category of the older generation. Permanent generation includes the things like classes and methods. Hotspot has four types of garbage collectors, Serial, Parallel, Concurrent Mark Sweep and Garbage first. In serial all the task of garbage collection is done in one thread that is serial. In parallel type garbage collector, multiple threads are used to conduct the work. CMS type garbage collector works on the same principle as parallel, but the difference is that it minimizes the effect of stopping the application due to the running of the garbage collector. Garbage first is newly included garbage collection, it works same as parallel and CMS type but it is more efficient. All types of collectors work on the JVM. Java collector always runs in the background and so the programmer need not to worry about the deleting unused objects and so memory is always available for the new objects. Sometimes programmer does not use the things but they also don’t fall into the category of unreachable objects so they have to make it suitable for the garbage collector. The main benefit of Java garbage collection is that it automatically collects the unused things and so programmers smoothly do the work without worrying about the memory. All those objects, which are unreachable in the program, are collected and deleted by the garbage collector. When unused objects are deleted, then memory is available for the new things. If the garbage collector is not available, then manual memory management is done. Sometimes programmers prefer manual memory management over the garbage collector by giving the reason of control and performance. In the Java garbage collector, you will get the option to improve its efficiency. . In addition to garbage collection, a garbage collector also controls heap fragmentation. Heap fragmentation is the result of a normal programming process. New objects are allocated and unreferenced objects are becoming free. Sometimes free space is present in between the two heaps and so incoming new objects have to be adjusted in between the free space. In some cases, heaps are formed in such a manner that in between the heaps no enough memory remains to accommodate the new incoming things and in this case, our machine will stop by saying out of memory. Java garbage collector adjusts the space between the heap and so space is available for the new incoming objects. Program integrity is also maintained by the Java garbage collector. It is part of the Java security strategy because it stops the crash of the program only because of freeing memory in an incorrect way. Java garbage collector relieves you from freeing the allocated memory space for the incoming program. It makes programmers work efficiently and it also saves time. If garbage is collected and not deleted, then it will hinder the programming process and so the garbage collector keeps eyes on the garbage and delete it from time to time to make space for new one. In Java programming, many programmers do not bother about the garbage collector, but it is necessary to know how it can be switched. A very interesting fact about the Java garbage collector is that it is unpredictable, it cannot be said when garbage will be collected during the running time. Setting flags in the JVM are the best way of tuning the Java garbage collection. The advantage of the setting flags is that it can adjust the garbage collector used. Programmers use GC() method to invoke the garbage collector to delete the unused things. Garbage collection is very important for the programmers because it automatically collects the unreachable data and deletes it. Garbage collection in c# is also occurring in the same way. The garbage collector will run only if all the specifications of the JVM are fulfilled. Collection of the unused data and deleting is always run in the background. Some of the manyGarbage Collection Interview Questions listed below will help you get an idea about what questions gets asked in such jobs related to Software Engineering & Tech. Get through theGarbage Collection Interview bar with our selectedGarbage Collection Interview Questions for all enthusiasts! For thousands of similar Garbage Collection Interview Questions login to our Website or download EduThrill. Experience the thrill of challenging people around the world on Garbage Collection Interview Questions!